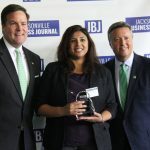 Celebrating the most inspiring and creative minds helping K-12 students in Northeast Florida, Jacksonville University and the Jacksonville Business Journal bestowed the annual Innovators in Education Awards at a luncheon on campus Thursday, May 5, featuring a keynote by JU alum and Florida Sen. Aaron Bean. 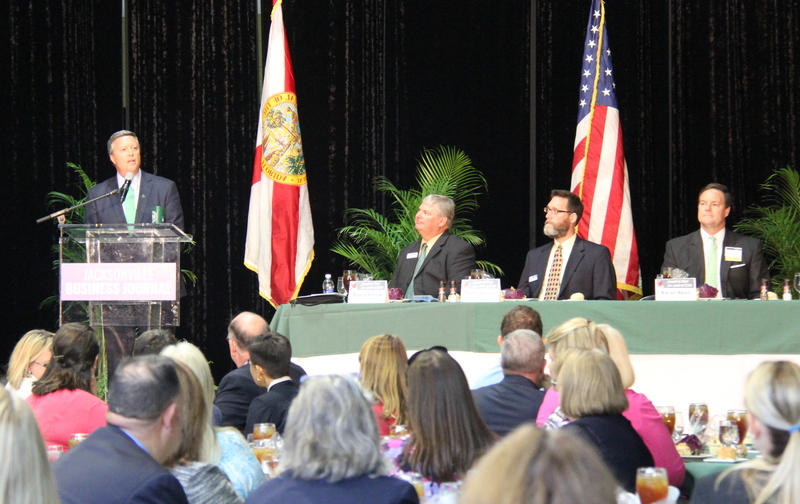 JU President Tim Cost addresses the crowd at the 2016 Innovators in Education Awards. 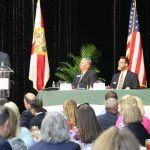 The honorees are helping shape an educational landscape that is crucial to improving the quality of life in the area, including its business sector, organizers said. 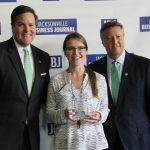 The collaboration between the JBJ and JU in establishing the awards is designed to strengthen the partnership between Northeast Florida educational institutions, businesses and government. 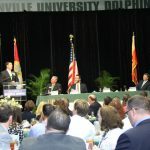 (See photo gallery below). Sen. Bean, Cost noted, has been a positive force in support of education, at all levels, including as an alum of Jacksonville University, during his time in public service. 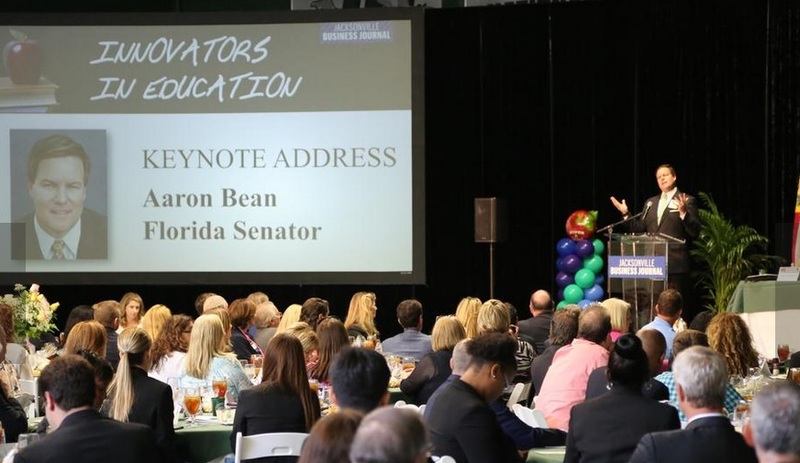 Florida Sen. Aaron Bean, a JU alum, offers keynote remarks at the 2016 Innovators in Education Awards. Photo courtesy JBJ. Cost pointed out that in the area of K-12 education, Sen. Bean and his wife, Abby, have recently helped establish an incentive fund for top teachers and top schools. In less than 18 months they have raised more than $250,000 and have disbursed more than $200,000 of it. 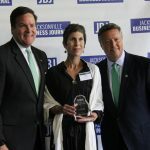 “They are truly leading the way in incentivizing and recognizing outstanding performance,” he said. 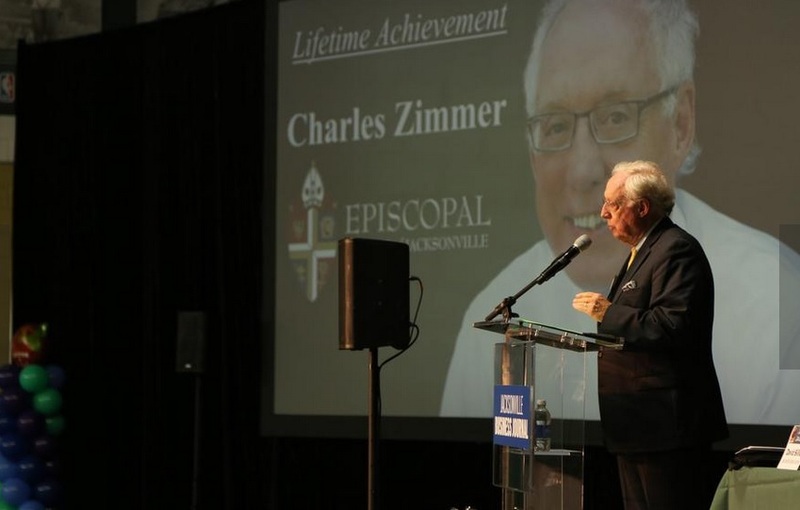 Charles Zimmer, Episcopal School of Jacksonville, won the Lifetime Achievement Award at the 2016 Innovators in Education Awards. 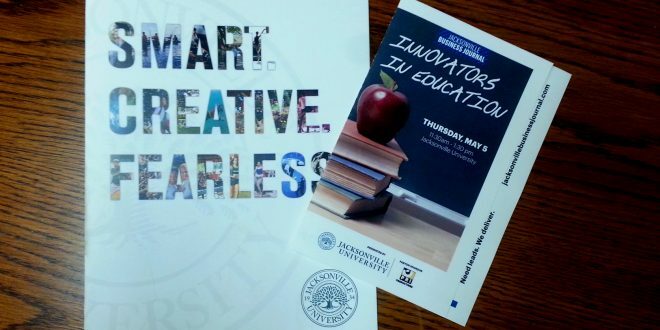 Photo courtesy JBJ.